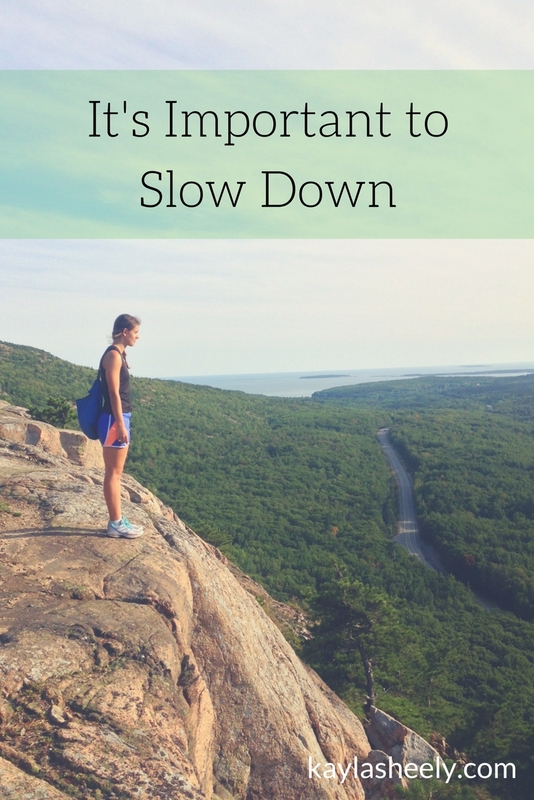 Sometimes slowing down can be the hardest thing to do. In our fast-paced culture, finding down time can be difficult. But even then, our “down time” is consumed with channel flipping, Netflix browsing, Facebook stalking, and Instagram skimming. Do we really ever take time to truly rest? Resting was something I struggled with for a long time. When I wasn’t at school, at work, or out with friends, my mind would be racing with all the to-do’s and deadlines looming closer. Even when I tried to relax, my mind wouldn’t let me. My inability to rest was only made worse by my introduction to the iPhone (I was a little late to the iPhone club). I felt naked when I didn’t have my phone — and it stressed me out. It wasn’t until I started practicing yoga that I was able to finally learn to rest and slow down. I was stuck in a heated room, flowing from pose to pose, and unable to look at my phone for an hour and a half. At first, it was terrifying. But then it became freeing. As I became more familiar with the poses, I didn’t have to focus on making sure I was doing the poses right. Instead, I was able to engage in more of a “moving meditation.” I was able to just focus on my breath and movements to allow my mind freedom to rest. That’s not why I started yoga (I was told it was a great workout), but it definitely was a much needed benefit. I honestly didn’t realize how much I needed to rest and be still until I was able to do so — then I realized what I had been missing. Now that I’ve learned how to rest, I crave it (especially when I’ve got a crazy schedule). Previously, I would have cringed at the idea of spending a night at home with nothing to do — now I look forward to it. Yes, I’ve even turned down plans when I know I need time to rest. I’ve learned that by allowing myself to rest, I can be more present when I am working or with others. It seems counterintuitive, but I believe that resting allows you to be more productive. Why should you rest and give yourself a break? When you don’t have to do something, your brain can run free with a little more creatively. I often come up with some of my best blog posts on my hour long commute home — my work is (mostly) done for the day, and I can just let my mind wander. And I think we can all relate to how our greatest revelations correlate with our shower schedule. Practice yoga. I may go to a class or just stop and do a few moves at home or at my office. Getting my body moving while allowing my mind to calm down is an addicting combination. Focus on my breath. Usually I do this in combination with yoga, but I will also just take a few deep breaths when I’m stressed or frustrated. It helps center me and bring me back to reality (which isn’t usually as bad as I’m making it out to be). Curl up with a book. Reading is a leisurely past time for me as I often don’t make the time (in favor of doing more ‘productive’ things). For me, picking up a book signals my brain that I need to chill. Go for a walk (or run). Get out into nature helps clear my head. Kudos to you if you can leave your phone at home and skip the music. Watch clouds. It may seem trivial, but just watching the clouds (or people even!) can be a great way to give your mind a break. Write down at least 2 things you are thankful for at the end of the day. Slowing down for long enough to reflect on your day to find things that you are thankful has been a beneficial habit for me. You could also try saying a few things you are thankful for when you waking up! Make tea (and watch Netflix). I’m constantly on the go, with a never ending to-do list, so sometimes I just need time to veg out. What do you do to incorporate rest into your life? I’d love to hear your ideas in the comments below!